Jennifer didn’t get it. Her three-year-old daughter is a champ with daycare drop offs. She has no problem saying goodbye to her mom every morning. She tried enrolling her in soccer, swim classes, and gym activities. But in every extracurricular activity she’s enrolled her in, her daughter clings to her for dear life. She wants her daughter to enjoy these activities, grow independent and build her confidence. But she’s getting discouraged. It seems with every activity she signs her up for, her daughter is hysterical and unwilling to part from her. She’s been patient, no matter how frustrating it can be. She understands that swim teachers aren’t as regular as daycare providers. And they’re nothing compared to her mom. But something inside Jennifer nags and wonders whether she did the right thing in signing her up. I have been following your blog/newsletter for some time now, and find it to be very helpful with my 3-year-old daughter! I have a question for you, and was wondering if you have any input or resources I could look into. Our daughter has been in daycare since she was a newborn, and is well-adjusted in that regard, with separating from mommy and daddy. However, when it comes to out-of-school activities on the weekend, such as soccer last fall, and swim class now, she is very attached to us, especially me. While I don’t want to pressure her, I would love for her to be confident enough to let go of me and let the swim instructor help her in swim class (last week was the first class and she became hysterical when the teacher tried to help her). I realize she needs time to warm up to a new teacher; the goal of this swim class is to have the kids separate by the end of the 10 weeks so that the parent is either at the edge of the pool or watching from a chair. Is she just too young? Any advice? Thanks! I’ve dealt plenty with separation anxiety. I’ve also worried when my kids didn’t take to lessons or social functions. And my kids have had several cases of ‘mama-itis,’ where they wanted me… and only me. And on the second day of swim lessons, my son sat on the sidelines for the whole hour. He refused to go in, even though he’d already had his first lesson. Give your daughter a heads up so she knows what to expect. When my then-toddler was scared of taking a bath, we found something fun about this dreaded part of the day. In his case, he loves fountains, so we made the faucet all about fountains and how fun it was. Other fun factors with swimming might include getting to wear a new swimsuit or wimming like Nemo. Be calm and don’t fuss yourself. Reassure your daughter that you’re nearby. Let her know you’ll be watching her having fun and that you’re not far away at all. Hand your daughter off to the teacher calmly and nonchalantly. Your confidence shows her that feeling scared at extracurricular activities isn’t necessary. You trust her teacher, her environment and everything else that’s taking place. Keep trying and see if she’s making progress. But if she remains hysterical or even gets worse, maybe it’s time to ditch the class. It’s not a failure on your part. Not every child loves extracurricular activities. They’re fine if they don’t sign up for classes. The intention was good, but if it’s causing more stress, it’s okay to let go. Maybe pursue a class that’s like something she is interested in. She may not like swimming or soccer but she loves singing and playing. Your turn: Do you enroll your kids in extracurricular activities and did you face similar difficulties with your child unwilling to let go of you? My oldest daughter is 1 1/2 at the moment (and I have a second daughter on the way), so I haven’t had any experience with dropping my little one off for activities. But I AM starting to see a bit of clinginess when leaving her with babysitters. So I’ll be curious to read some of the reader advice! I like what you had to say on the matter.. very insightful! Thanks, Gingi! And yes, I remember my eldest also being really clingy around 18-months-old (that was when I wrote the post on separation anxiety!). It’s no fun 🙁 Hopefully your daughter will be able to transition smoothly. My 4.5yo does this too! It’s different than the stranger-danger/separation anxiety cries from my baby, it’s like a weird clingy shyness that kicks in at the oddest, unexpected times. I think the more I can do to talk to him about what to expect beforehand, and not thrust him into an unknown situation, the better he does. Sometimes it helps if he has a friend there, too. Oh yeah, great idea Sarah about the friend being there. I can imagine that would help if they see someone else in their shoes (especially if that friend isn’t as hesitant to let go). My son is 2.5 now and went through a terrible period right before two. Now he’s at daycare and the separation there is flawless, but it still can act up when we’re in public or mostly – when he’s tired or hungry! I’ve discovered those as key problems with him! Tired and hungry—two good things to look out for, definitely Tamara. The same goes for my kids! The age right before two is also when my eldest had separation anxiety. My twins are getting to that age! I’m right there with ya. Our child loves preschool. He loves spending time with his grandparents. He does not love letting go of our hands when it comes to new activities. After he warms up (might be 10 minute, might be after a couple sessions), he is usually fine. But, those first few moments are rough. I agree with you that kids feed off our energy – if we’re anxious, they will be, too. So, like you said, we focus on the positive, encourage him to try something new and always have an exit strategy, should we need one. That’s my struggle too, is staying positive and not anxious or frustrated. Sometimes I find myself having these expectations and then get all disappointed when they’re afraid or anxious. Not really fair for them in hindsight. I needed to read this. My son has a really hard time being handed off and doesn’t like new people. I’m a little worried about what will happen when he starts preschool next year. Thanks for the tips. Best of luck to your kiddo, Melissa! That can be such a difficult situation for a parent. For the most part, our oldest has jumped right in with extracurriculars, but she does have the occasional clingy moment. I think your advice is spot on though. 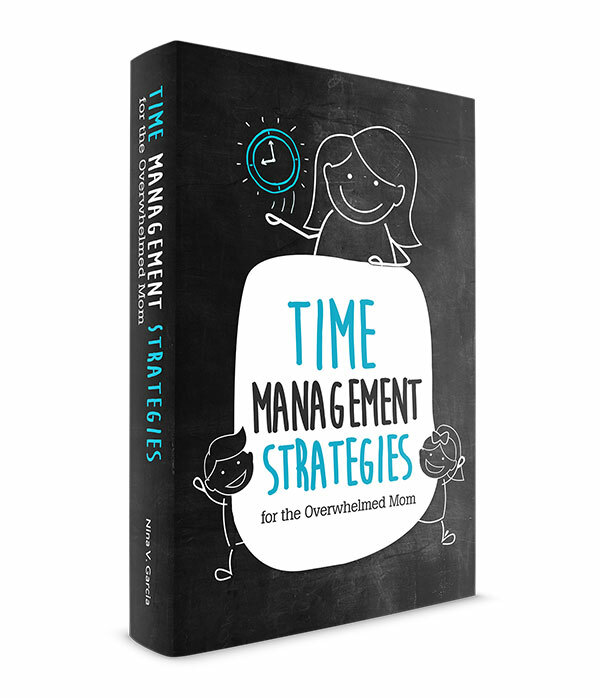 Emphasize the best parts, and if it’s an unnecessary activity, know when to call it quits. I definitely notice some kids go head first into activities! I’m sure a little bit of clinginess is normal too. 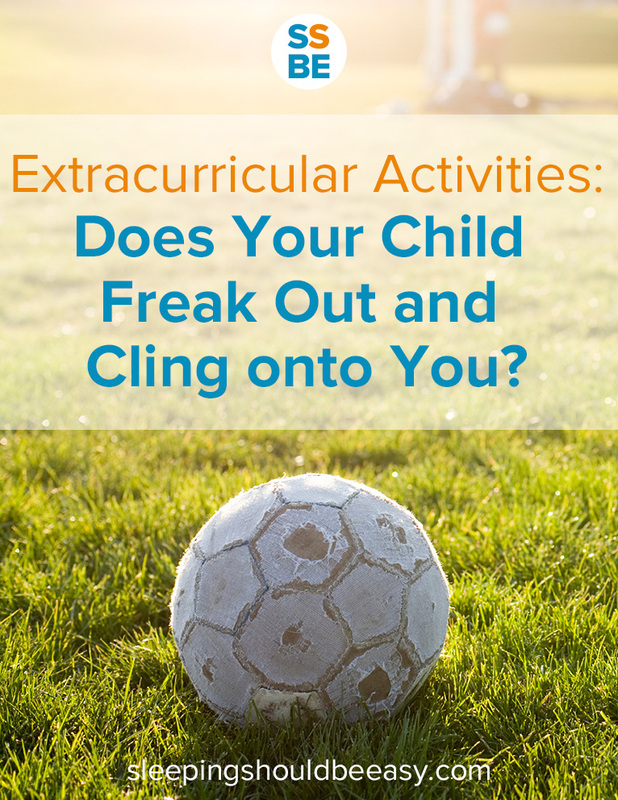 My kids do well with extracurricular activities, but they can be clingy in other situations, and your advice is spot-on! Thanks! That’s great your kids embrace extracurricular activities. I wonder if it’s the swimming itself. My kids were a bit afraid of the pool at first. But regardless, in my experience, this behavior is totally normal. There will be less of it as she gets older. If it’s making you both so unhappy, and if the above advice doesn’t improve matters, I, personally, would just try again when she’s older. I’m of the “pick your battles” camp. If no one is happy with this swimming battle, is it really worth it for right now? That’s for you to decide. I’d weigh the pros and cons. Yeah my kids took time to get comfortable with the pool, and even now they’re not exactly one to dive right in. I remember potty training my eldest and I told myself if he cries then it may just not be the right time. I agree with you Betsy—there’s always another chance in the future! I used to do ALL of the extra mommy/baby stuff until it sucked because my son is developmentally delayed. It was horrible. I just wanted to have fun and neither of us had fun. We flunked three mommy and me swim classes. I dropped out of soccer tots. I cried. He cried. But, I will say this. Now that he’s five, he wants to do this stuff??? I think??? So he’s in Lego Camp (just 12 hours this week for 3 hours at a time) and will be in private swim lessons starting Saturday because at a recent bday party — well… anyway. I think knowing when to call it quits is huge. And you rock for all of it. It’ll come. Or not. And either way, it’s great. You’re a great mom. Wow that’s awesome he’s so into activities now, Kristi! And you mention such a good point: we all have good intentions in the root of it. We enroll and join and put them in activities for the better, and just because it doesn’t work out that one time, doesn’t mean it never will. I remember going to all the mom clubs and feeling terrible after because it would disrupt his naps, or we’d be rushing it, or he just wasn’t enjoying himself. I also have limited experience with extra curricular activities. I’ve taken my son to one swim class and he didn’t have to leave me because it was a parent-kid class. I think giving him a head’s up is a great idea and it works the best for our kid. I’ll have to remember to do that when I face similar challenges in future activities. I think if I were to do a swim class for my kids I’d also have it where it’s a parent and kid thing too. I can’t imagine my kids transitioning too well (maybe my eldest now that he’s five, but for sure not the toddlers. They freak out even with relatives! ).